A Guide to Understanding 3D-Printed Firearms, Defense Distributed, and "Ghost Guns"
3D-Printed Firearms and Defense Distributed: A Guide to Understanding "Ghost Guns"
Disclaimer: This guide is intended to be informational only surrounding the topic of ghost guns and 3D-printed firearms. It is not legal advice. Ever since the landmark ruling on 3D-printed firearms, outrage and moral panic have surrounded so-called “ghost guns.” Whether you’re a proponent of Second Amendment freedoms or just doing opponent research, it’s important to have the facts about what a ghost gun is and what it is not. It’s also important to know other related terms in the world of firearms – like how is a ghost gun different from a 3D-printed gun? And what is an 80-percent lower? This guide will answer all of your ghost gun questions, and will separate fact from fiction surrounding this polarizing topic. What Is a Ghost Gun? Put simply, a “ghost gun” is a catchall term for any firearm without a serial number. There are a variety of ways a person can come to own a firearm without a serial number that do not involve breaking federal law, which generally prohibits the removal of serial numbers but not, however, the ownership of a firearm without a serial number. It’s not a loophole in the law. The law is specifically written to exclude professional gunsmiths and hobbyists. Even if you own a ghost gun – that you must make yourself – you’re never allowed to sell or transfer it without getting a serial number. In fact, there are a number of procedures in place allowing for amateur gunsmiths to get a serial number for their homemade firearms for precisely this purpose. To understand the law behind so-called “ghost guns,” it’s important to understand what a gun is under the law. This relates back to the Ship of Theseus problem in philosophy: In this thought experiment, one considers a boat. What about a boat makes it a boat? How much of it may we replace and still be talking about the same object? Does a mast make the boat? The sails? The deck? The hull? Now apply this to firearms. Is a barrel a weapon? What about a stock? What about the two of them together, but no trigger? Is the trigger alone a weapon? There are a number of combinations to this question: At what point does something stop being a hunk of metal and start being a firearm? And the various combinations have one answer: A “gun” under the law is a part called the lower receiver. This ceases to be a hunk of metal when it is more than 80 percent finished. Up until that point, you just have a hunk of metal. What Is an 80-Percent Lower? If you want to sell or otherwise transfer the receiver once it’s been finished, you’re going to need a license. However, if you just want to make yourself a weapon – either because it seems like a fun way to spend an afternoon or because you want to own an untraceable weapon – you don’t have to jump through any hoops other than purchasing the lower and finishing it. You don’t have to register it, you don’t have to get it a serial number. You don’t even need to pass the same background check you might otherwise have to. Unsurprisingly, those selling 80-percent lowers tend to make them as easy as possible for the most amateur of amateur gunsmiths to complete. In fact, many of the same retailers selling 80-percent lowers likewise sell complete kits with everything you need to transform what is legally just a hunk of metal into a complete firearm by doing the remaining 20 percent of the work. You’ll still need to have some proficiency with machine tools to finish the weapon, but not nearly as much as what would be required to complete a lower from a raw piece of metal. A drill press or rotary tool are enough to finish most 80-percent lower receivers. The time required is between one and seven hours, depending on the skill level of the operator. How Many Ghost Guns Are There? It’s nearly impossible to know precisely how many ghost guns are floating around the United States today – that’s what makes them “ghost guns.” However, we do know that they are particularly popular in places like California, where there are extremely restrictive firearms laws. In 2014, the ATF speculated that tens of thousands of ghost guns were running around California. Again, this was purely speculation. Four high-profile crimes were committed in the State of California with ghost guns, which likewise brought them to media prominence in the state, one of which was a Santa Monica rampage shooting in 2013. The assailant was otherwise prohibited from owning firearms. Another rampage shooting at Rancho Tehama Preserve was committed by a man who was prohibited from firearms possession due to a restraining order. It’s worth noting a common thread here: Ghost guns are popular in restrictive states. This is why they are so popular among anarchists and Second Amendment activists who sometimes organize so-called “build parties” where people trade the knowledge required to make ghost guns. The recent court case involving Defense Distributed is not the first attempt of the federal government to stamp out ghost guns. In 2014, the ATF raided Ares Armor, confiscating 6,000 blanks they claimed were too finished to not have serial numbers on them. After an investigation, all but 18 of them were processed as legal for sale. EG Armory of California was likewise raided and had their customer list seized, forfeiting 3,800 lowers without admitting to any wrongdoing. C&G Tool Inc’s owner pled guilty to charges he illegally manufactured firearms by making it easy for anyone to show up at his shop, press a couple buttons and walk off with an unregistered firearm with no serial number. Of course, in a world of readily available 3D-printing technology, it’s not that much of a leap to move from people buying 80-percent lowers to people making lower receivers – 80 percent finished or otherwise – using the same technology in the comfort of their own homes. Defense Distributed recently made headlines due to a court injunction against it preventing the release of 3D-printer blueprints for several firearms. In fact, Defense Distributed is not the first attempt at making firearms leveraging 3D-printer technology. Defense Distributed did not even intend to charge for the plans required to get a 3D printer to print weapons or lowers. What made Defense Distributed different is that they planned to bring to market 3D printers optimized with the printing of firearms specifically in mind. 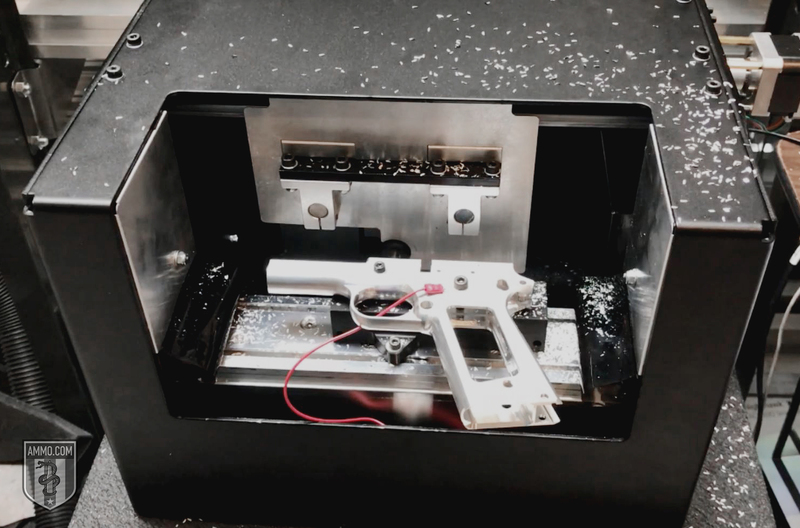 The company likewise released a CNC mill called the Ghost Gunner – optimized and designed for the purpose of completing 80-percent lowers with little or no skill in machining. Both UPS and FedEx have explicitly refused to carry these machines from Defense Distributed through their respective carriers. What Are the Basics of the Defense Distributed Case? You might have heard about Defense Distributed going to court against the Department of Defense in the news. 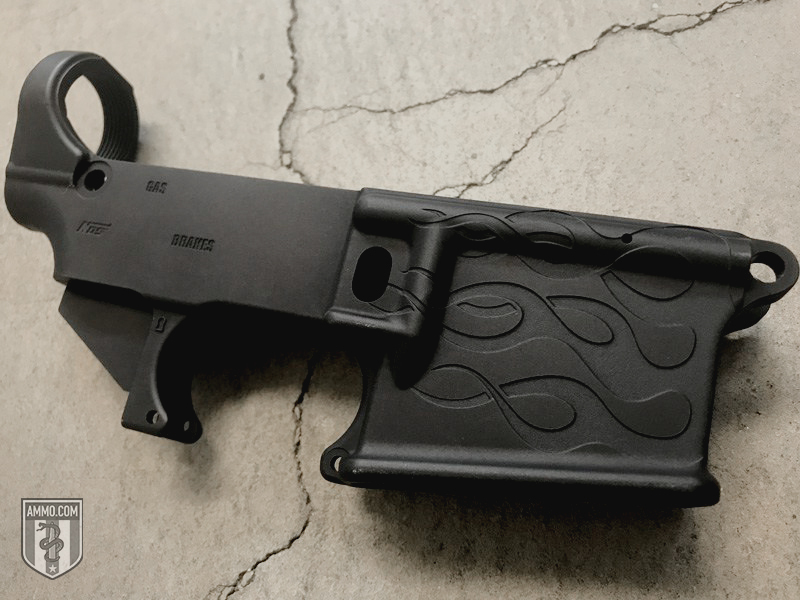 Defense Distributed has come up with plans for the world’s first completely 3D-printable firearm, the Liberator. On May 5, 2013, the plans were released to the public gratis, but the Department of Defense requested their removal as a violation of arms trafficking laws. In the course of two days, the plans were downloaded over 100,000 times. Despite Defense Distributed’s removal of the plans, they are readily and easily available on file sharing sites such as Pirate Bay and GitHub. No one has suggested that possession of these plans is in violation of any federal law. In May 2016, Defense Distributed took the Department of State to court over the matter. Defense Distributed is a non-profit whose plans for printable weapons – and all of their other IP for that matter – is open source, meaning that the source code is accessible for anyone to work on or modify as they see fit. It is a federally registered 501(c)(3) tax exempt organization and not a weapons manufacturer. 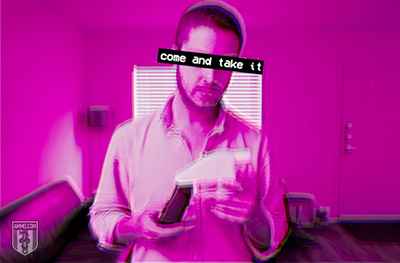 Cody Wilson, Defense Distributed’s founder and the man at the center of the controversy, holds a Type 7 Federal Firearms License, entitling him to both manufacture and sell arms and ammunition. The Liberator is named after a firearm developed by the OSS, the precursor of the CIA, to be dropped behind enemy lines for anti-Axis resistance on the ground. However, other than limited use in France, there is no evidence that this was a widely deployed weapon. It’s worth noting that the present injunction in place does not target either 3D printing of guns or any other variety of home manufacture. On the contrary, it is a prior restraint attempt to block free speech, in this case the code in the blueprints for the firearms. If there are legal issues with the plastic firearms printed by 3D printers, they are dealt with under laws specifically germane to plastic, guns which cannot be detected by metal detectors. You also don’t need a 3D printer, a drill press or even an 80-percent lower to start making firearms in the comfort of your own home. In addition to blueprints for 3D-printable guns, there are copious documents on the Internet detailing how you can make handguns and other firearms at home using objects commonly available at your local hardware store. Such books are legal and easy to find, as are books detailing the home manufacture of pipe bombs or even napalm out of commonly available objects. Finally, it is extremely unlikely that street gangs are presently printing out untraceable firearms on 3D printers, as there are easier and cheaper methods of obtaining such arms. Much has been made of Cody Wilson throughout the hysteria regarding Defense Distributed in the press. Cody Wilson is, of course, not terribly relevant to whether or not 3D-printable firearms are or ought to be legal. However, it’s worth briefly discussing who he is and what it is about him that makes him so unpalatable to gun grabbers. A Little Rock, Arkansas native, Cody Wilson dropped out of the University of Texas Law School in 2013, after having began work on Defense Distributed in 2012. He visited the local ATF offices at this time to inquire about legal ramifications and was interrogated by officers for his trouble. Defense Distributed is not the only controversial project that Wilson is a part of. In 2017, he was also the founder of Hatreon, an alternative to Patreon created after several so-called “Alt Right” thinkers were removed from Patreon in response to the events in Charlottesville. He has likened himself, for his participation in Defense Distributed and Hatreon alike, as being along the same lines as Bitcoin and Wikileaks in terms of disrupting the predominant power dynamics in society today. 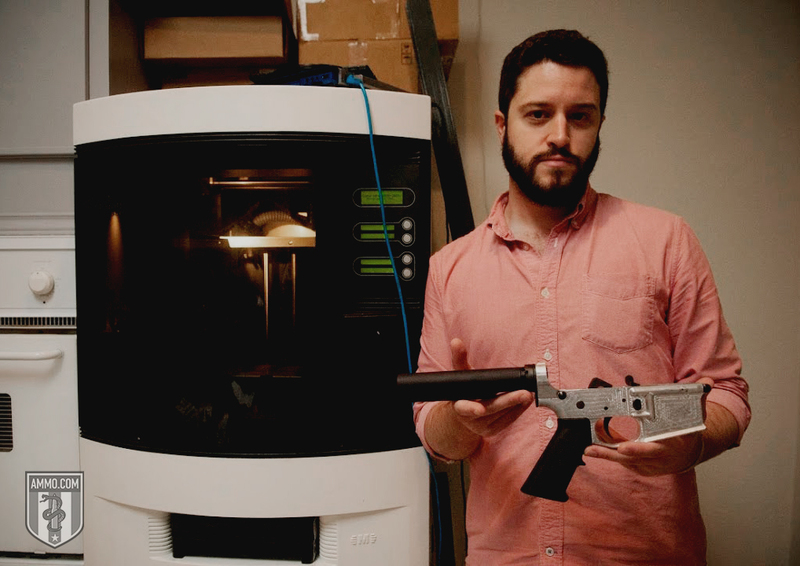 While one cannot have a discussion about 3D-printable firearms or the Defense Distributed case without mentioning Cody Wilson, it is worth noting that regardless of what one thinks of Cody Wilson, his politics or his side projects have precisely no bearing on the Defense Distributed case in particular or 3D-printed arms in general. What Is the Undetectable Firearms Act? The Undetectable Firearms Act of 1988 makes illegal the manufacture, import, sale, shipping, delivery, possession, processing, transfer or receipt of any firearm not detectable by walk-through metal detectors. The Act was largely an attempt by the Reagan Administration to outlaw cheap plastic firearms known as “Saturday Night Specials.” It’s worth noting that American firearm manufacturers were also proponents of the law both because of optics (it was one of the first attempts at gun control at the federal level) and also because it largely impacted European competitors like Glock while leaving them alone. The Glock 17 was one of the main targets of the act. The law was subject to a sunset clause that expired in 1998. However, the Act was renewed twice before finally going out in 2013. Firearms previously outlawed under that act have been perfectly legal since then. For its part, the NRA supported the existence of the law, but not any extension of its scope, including language specifically targeting 3D printers and other similar emerging technologies. How Will 3D-Printed Firearms Change the World? It’s not clear that 3D-printed firearms will do much to change the world, as they’re already covered by several laws. However, there is one way that 3D-printed firearms will create significant change: To the extent that it was not before, gun control is effectively a dead issue. The Defense Distributed case shows that, try as they might, gun grabbers will be increasingly powerless to shut down private, untraceable ownership of firearms for hunting, sporting, self defense, or any other purpose free people might choose.